Sky Gate Hospitality Pvt. Ltd, which runs food startup Biryani By Kilo (BBK), has raised $1 million (Rs 6.8 crore) in another pre-Series A round of funding from a clutch of investors led by Ajay Relan, co-founder and former managing partner of private equity firm CX Partners. In a statement, Gurugram-based Biryani By Kilo said it plans to use the fresh capital to expand its footprint across the country and intends to raise its Series A round by early next year. BBK currently has 11 outlets in India - 10 of which are in Delhi-NCR. It aims to launch another nine outlets across metros and big cities by March 2019. The brand claims to be growing at a rate of 70-80 % year-on year with a current sales run rate of Rs 24 crore annually. It hopes to close the current financial year with a run rate of more than Rs 40 crore. The company had last November raised nearly Rs 10 crore from a clutch of wealthy individuals, including a few of its existing investors. BBK was founded by Kaushik Roy in May 2015. Vishal Jindal joined as a co-founder the following year. 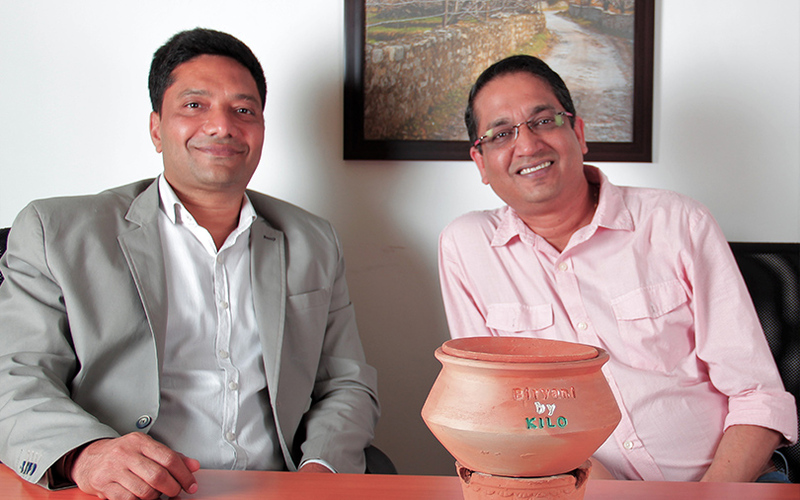 The startup prepares biryani in the dum style using handmade earthenware – handis and angeethis. It specialises in offering different types of biryani, besides kebabs, korma and breads. BBK claims to model its business on the premium delivery concept. It operates on a hub-and-spoke model, providing raw material and semi-cooked produce to its outlets. BBK also delivers from its own kitchens, catering to customers within a 10-12 km radius. Customers can place orders through the BBK mobile app, which is available both on iOS and Android, as well as through a web platform and call centres. A few biryani-focused restaurant chains are backed by institutional investors. While Hyderabad-based Paradise Food Court is funded by Samara Capital, Mani’s Dum Biryani in Bengaluru counts Navlok Ventures as an investor and had offered it a partial exit. Gurgaon-based Biryani Blues, had raised a bridge round of funding from Carpediem Capital Partners and other investors in 2016. VCCircle recently reported that Renuka Ramnath-led Multiples PE was in talks to invest in biryani restaurant chain Dindigul Thalappakatti. The first reported institutional investment in the biryani restaurants segment was made by SAIF Partners in 2012 when it had backed TMA Hospitality Services Pvt. Ltd, which owns quick service restaurant chain Ammi’s Biryani. The investment in Ammi’s Biryani was managed by BBK’s Roy, who had served as group chief operating officer at at Zooropa Foods, the investment arm of VC firm SAIF Partners that focuses on quick service restaurants investments. VCCircle reported last year that SAIF was looking to sell its entire stake in the company. CX Partners’ Relan is among a host of active angel investors in the country. In March, Relan led a pre-Series A investment in mobile cinema operator Picture Time Digiplex Pvt. Ltd. In late-2016, Relan led a $1 million investment in Good Health Essentials Pvt. Ltd, a Delhi-based startup that makes cold-pressed juices under the MyGreens brand.